Afternoon arrival Burimari border and meet our guide then transfer Dhaka . Over Night Dhaka. Breakfast at the Hotel. 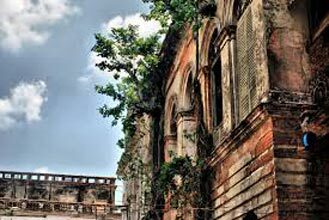 At 8.00am then visit to Sonargaon sightseeing Details of- Sonargaon (Bengali: also transcribed as Sunārgāon, meaning City of Gold) was a historic administrative, commercial and maritime center in Bengal. Situated at the center of the Ganges delta, near the old course of the Brahmaputra River, it was the seat of the medieval Muslim rulers and governors of eastern Bengal. Sonargaon was described by numerous historic travelers, including Ibn Battuta, Ma Huan, Niccolò de' Conti and Ralph Fitch, as a thriving center of trade and commerce on the silk route. It served as the capital of Sultan Fakhruddin Mubarak Shah, Isa Khan and the Baro-Bhuyan Confederacy). Take a lunch then visit Sonargaon then transfer to Cox's Bazaar at late evening. Transfer to hotel. Evening enjoy World Largest Sea Bech. overnight hotel. In the early morning, drive (almost 3 hrs) to Teknaf. Take the ship at around 0900 hrs and cruise through the beautiful Naf River & Bay of Bengal. Reach Saint Martin Island at 1200 hrs. Afternoon hours for enjoying the island & the beautiful beach. Later on, 1400hrs return to Teknaf and drive to Coxs Bazaar. Overnight at hotel. breakfast in Hotel. start for a trip to Inanai Beach, Laboni Point, Himchori hill tracking and visit bermis market, and enjoy you at the world largest sea Beach at coxs Bazar. Overnight at hotel. After Breakfast. 7.00 am Start Journey to Dhaka. Evening Enrout visit he oldest Capital of Bengal Sonargaon. Sonargaon (means golden city), 27 km. 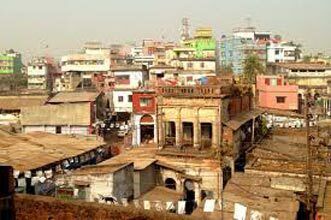 east of Dhaka city, was the capital of Bengal from 13th to early 17th century during the Chandra and Deva dynasty. The Panam was a flourished city in those days. In 1611 the Mughals considered the location too exposed to the Portuguese and the Mogh pirates and established Dhaka as their capital. It was a very flourished centre both for weaving of the muslin and export to different parts of the world. But nothing of muslin can be found now. Folklore Museum at Sonargaon open from 9:00am to 5:00pm everyday except Wednesday from 10:00am to 2:00pm and closed on Thursdays. Arrival Dhaka transfer to hotel. Over night at Dhaka. After Breakfast. 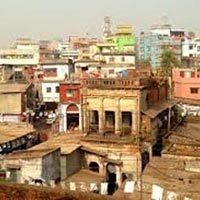 8.00 am Start Visit most interesting sites like Majestic Pink Palace (Ahsan Manjil), Lalbag Fort built in 1678 during Mughol Dynasty and the Famous Dhakeshweri Mandir (Hindu Temple), Curzon Hall, Shahid Minar, National Mosque, Star Mosque etc. On your return visit the National assembly building, the most attractive building in Asia and the wonderful architectural accomplishment of famous architect Luis I Kahn of USA. Then evening transfer popular shopping centers and exotic Bazars and take a shower of masses. The shops we offer are Arong – a wonderful handicraft shop, Sopura silk – most popular silk cloth brand in Bangladesh, antique market – where you will find different product and products made of brass metal, Westic – a very popular garments shop to the foreigners specially. Over Night Dhaka. After Breakfast Transfer Air Port/border your next destination.